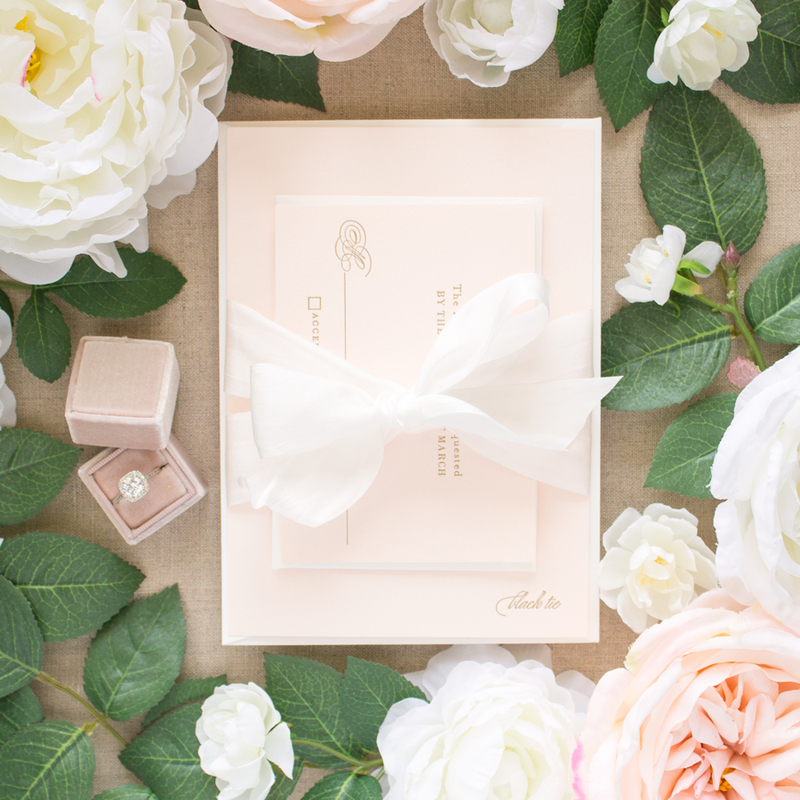 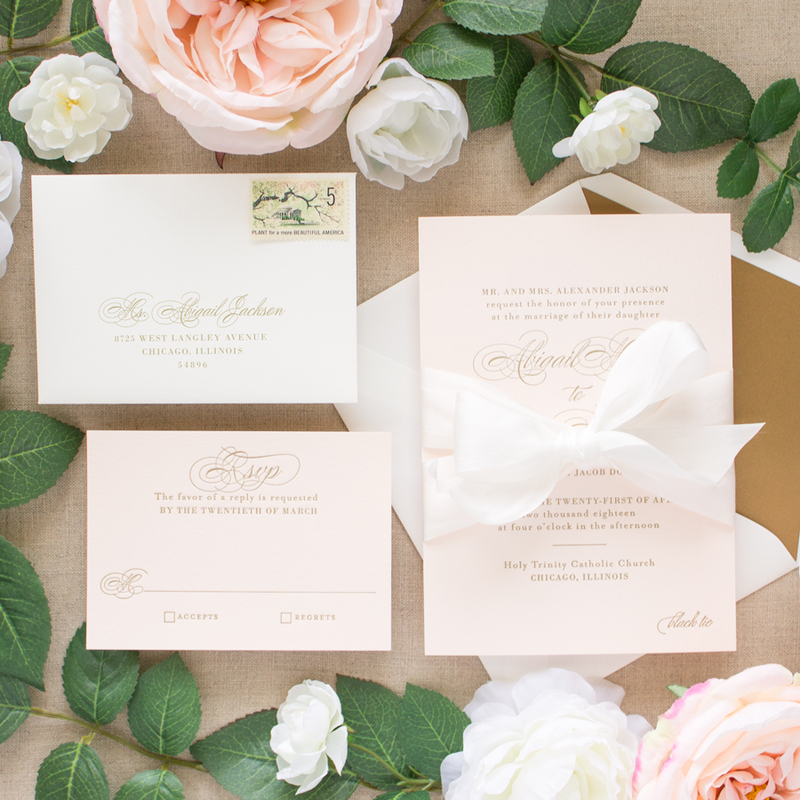 A classic wedding invitation featuring letterpress printing in metallic gold ink on blush pink Italian paper, wrapped up with a silk ribbon. 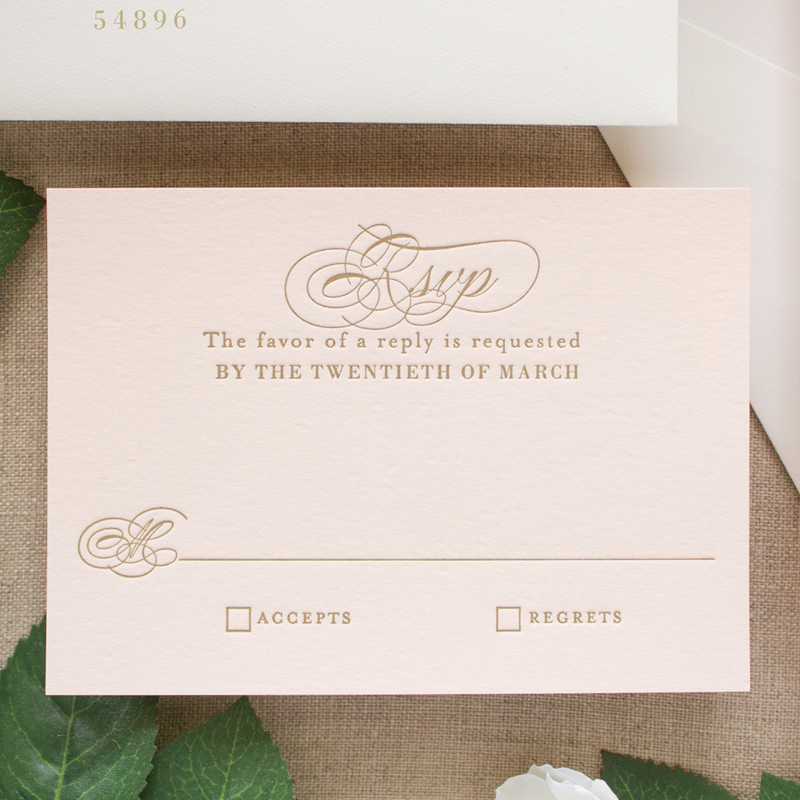 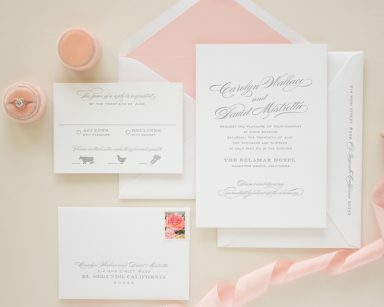 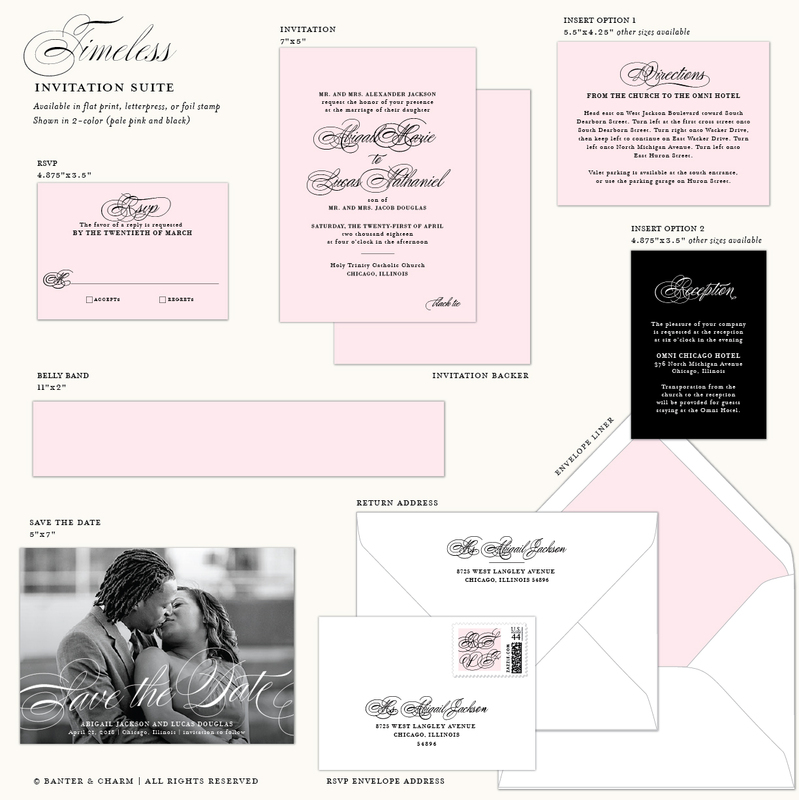 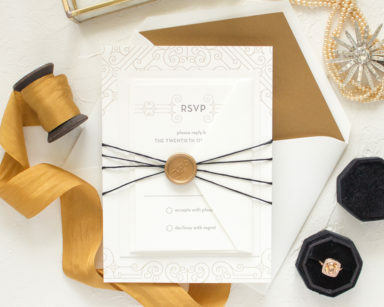 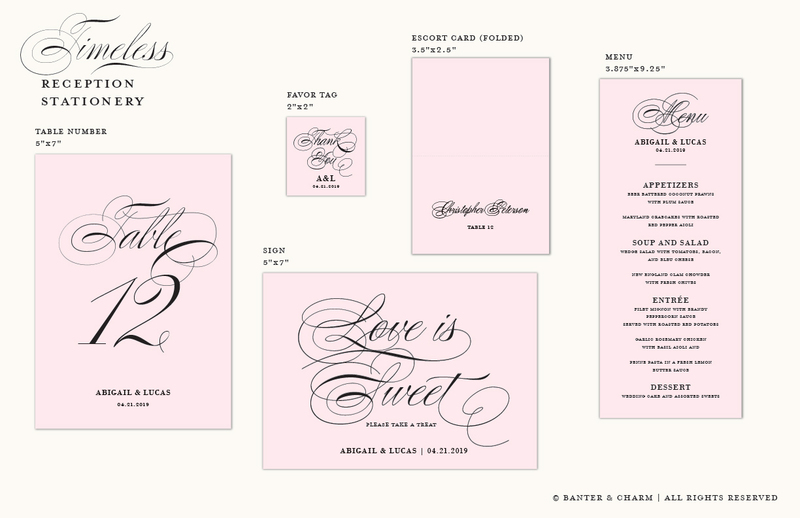 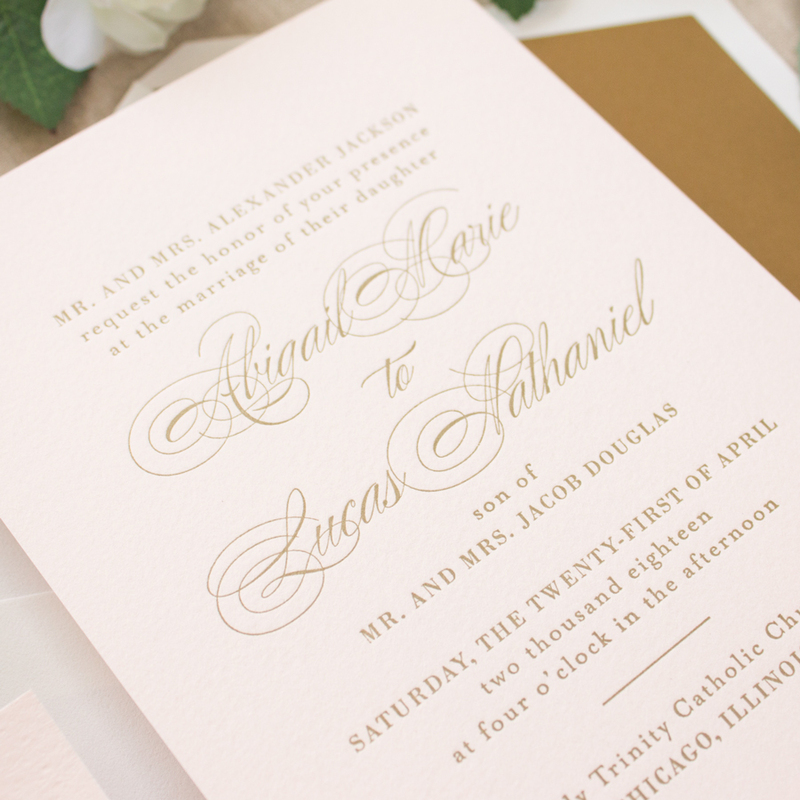 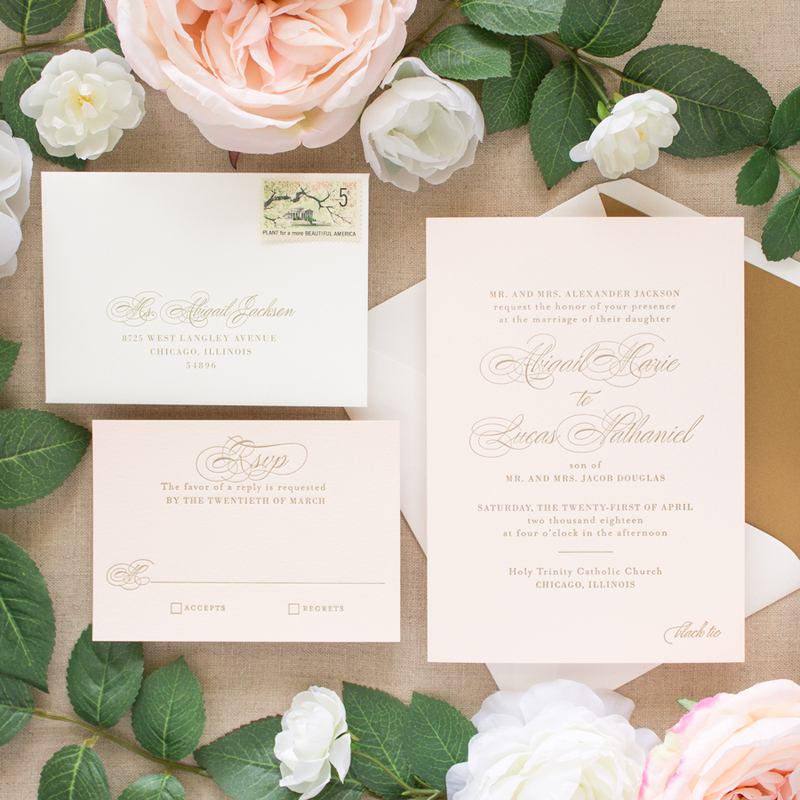 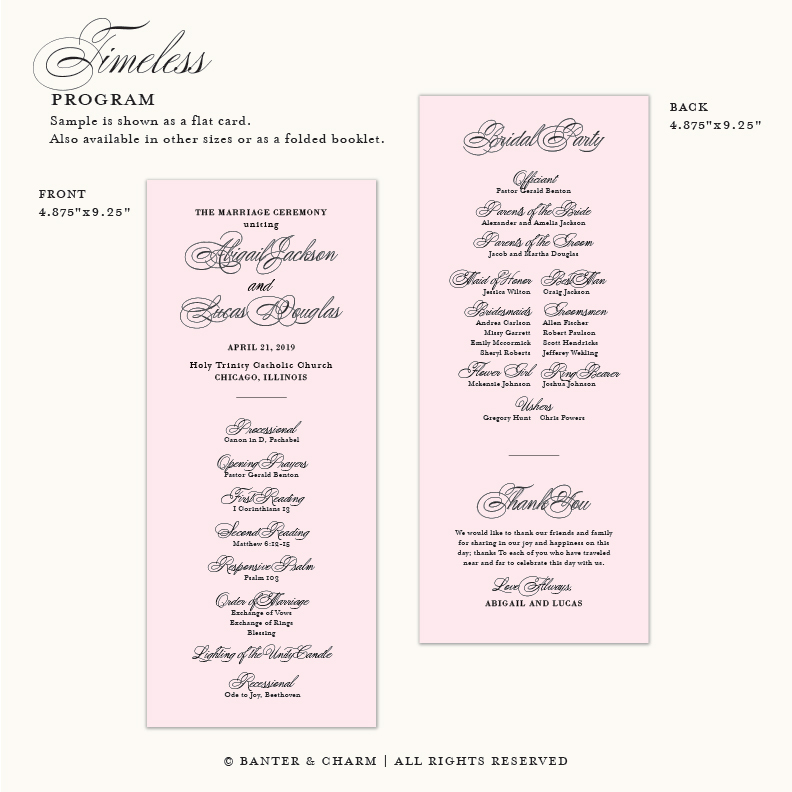 These pink and gold wedding invitations are perfect for a formal wedding with a black tie reception. 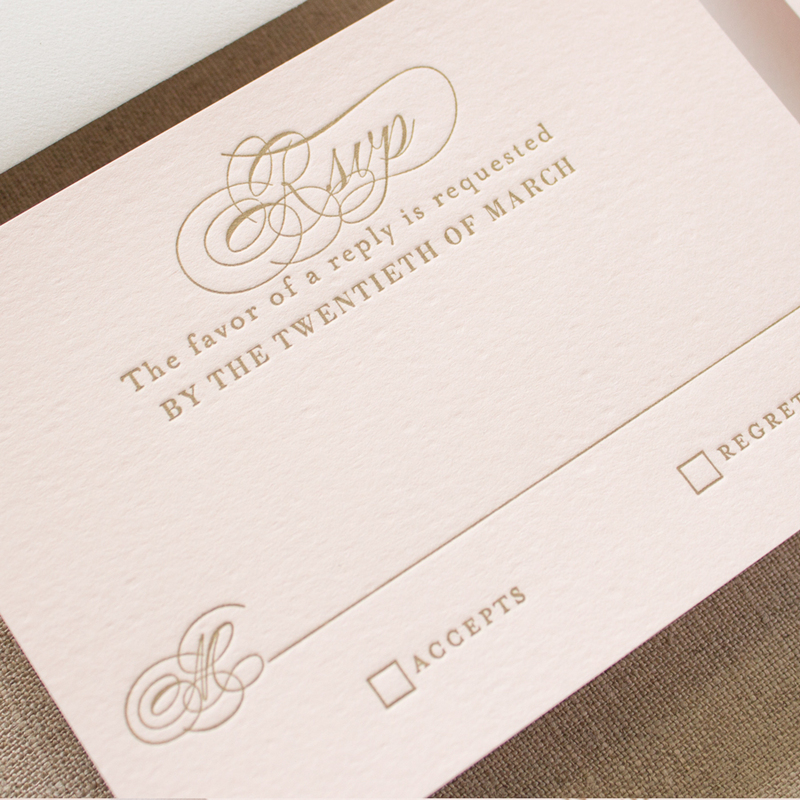 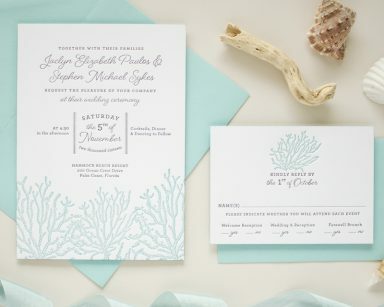 See this design in black letterpress.